Our local store has stunning hardwood flooring for the best values around. We provide a huge variety of different types of hardwood floors, including quality prefinished and distressed wood floor coverings. When you visit our store, you consult with flooring experts who are here to help you have an enjoyable shopping experience. Reach out to us for information about our wood flooring options. We have hundreds of selections to show you. Our showroom is filled with samples that you can see, touch, and walk on so you get the full experience of your new flooring. Let us provide you with the perfect flooring and then send our technicians to your home or business for hardwood flooring installation. In our showroom, you not only discover a wonderful selection of wood floors, but find flooring professionals who are here to assist you choose the right floors for your design preferences and lifestyle requirements. Our design and sales professionals have a vast knowledge of the different brands of hardwood, as well as experience with the latest flooring fashions. Come into our showroom so we can serve as your flooring guides. Let us explain the different selections and features and help you choose the wood flooring that complements your décor and meets your performance requirements. The two main choices are solid and engineered wood. Many of our customers are searching specifically for premium solid hardwood flooring. With solid wood, planks or strips of solid wood are milled from a single board of the wood species of your choice. These floor coverings consists of that same species through and through. Because of this, you can sand and refinish hardwood several times. With refinishing, solid wood lasts up to 100 years. This classic flooring option is what you find in those stately homes around town. Because every home is unique, we offer you a multitude of choices. Perhaps, instead of solid wood, you prefer engineered hardwood flooring. These floors consists of layered construction to provide installation versatility. On the top is a veneer of the wood species of your choice. This is bonded to several layers of high-density fiberboard. These manufacturing improvements enable homeowners to install engineered wood in rooms with high levels of moisture, such as the basement, bathroom, or kitchen. Engineered wood does not react to moisture, so it works well in any room of your house. For questions about whether solid or engineered wood flooring is best for your home, ask our flooring experts. We recommend that you protect your investment in hardwood flooring with professional installation. Let us schedule a day and time for our flooring technicians to come to your home. They arrive on time with the wood, tools, and equipment to install your wood floors for long-lasting results. These professionals insist on starting with a clean, level, and dry subfloor. They tear out the old flooring and prepare the new one properly. 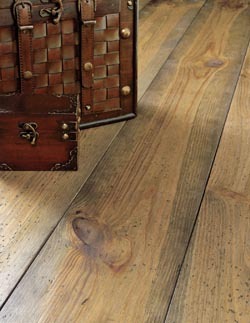 They lay planks carefully with an eye to grain and pattern and make sure each piece lays flat and secure. Flooring that is not secure, moves and lifts and is easy to crack. We follow up our installation with a lifetime warranty. Wood floors are a popular choice because they complement rooms with their warmth and sophistication. Hardwood flooring adds to the beauty and value of your home. From oak to maple to cherry to birch, this type of flooring enhances any home. Contact us today for a great selection of brand-name hardwood floors. We proudly serve the communities of Covington, Abita Springs, Madisonville, Mandeville, and Lacombe, Louisiana, and the surrounding areas.